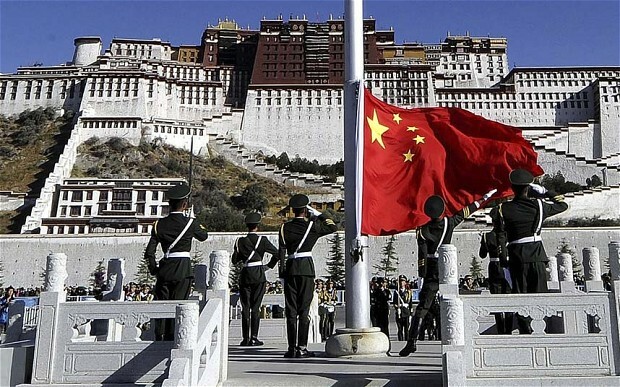 (TibetanReview.net, Oct02, 2017) – As in many other parts of the People’s Republic of China, Chinese-ruled Tibet Autonomous Region has also been taking security measures to ensure stability in the run up to the 19th National Congress of the Communist Party of China, scheduled to open in Beijing on Oct 18. A conference with the theme of studying and arranging stability maintenance in Southwest China’s Tibet Autonomous Region was held on Sep 24. And the conference said the success of the 19th National Congress was the most significant political task currently, reported China’s official globaltimes.cn Sep 28. The conference was also reported to have demanded that the departments of the regional government should make full efforts to prepare for monitoring and inspections from the central government on its work to maintain stability in the region. It was earlier reported by the AFP Sep 20, though not officially notified or confirmed, as on past occasions, that the region would be closed to non-Chinese foreign visitors from Oct 18 to 28 as a part of security measure during the five-yearly national congress of the Communist Party of China. The congress is expected to see President Xi Jinping further strengthen and consolidate his control over the party and country by appointing more of his supporters to key party positions. I feel this was not a Tibet conference. Rather, it was a Chinese-occupied Tibet conference.”Southwest China’s Tibet Autonomous Region” is a BS name.